The Python Panel pane allows you to embed custom PySide2 or PyQt5 interfaces into Houdini pane tabs. Select an entry from the interfaces menu. Click and select New Interface. Click and select Edit Interface. Click and select Delete Interfaces. Click and select Edit Menu. 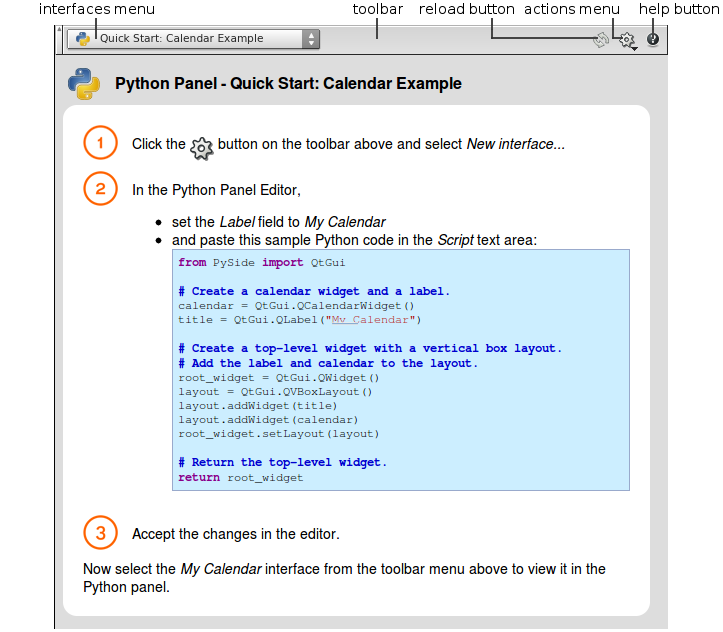 Read the Python Panel Editor help page for information on how to create PySide2 or PyQt5 interfaces and for coding examples.